I met Jessica through bloggy world!! She is such an encouragement to me!! She is one the sweetest Christian ladies I know!! She is about to be a mommy soon and is a wonderful wife to her husband!! I know she will make a wonderful mother to her new baby coming!! The lord has truly blessed her and I am blessed to have her as a friend!! 1. Dilvîn- She has been such a sweet person since I met her in blog land:) She has a sweet and wonderful blog!! Go check hers out!! Isaiah 40:31-"But they that wait upon the LORD shall renew their strength; they shall mount up with wings as eagles; they shall run, and not be weary; and they shall walk, and not faint"
Proverbs 3:5-6-"Trust in the LORD with all thine heart; and lean not unto thine own understanding. In all thy ways acknowledge him, and he shall direct thy paths. Philippians 4:13-"I can do all things through Christ which strengtheneth me"
Proverbs 31:30-"Favour is deceitful, and beauty is vain: but a woman that feareth the LORD, she shall be praised"
"Psalms 46:1-" God is our refuge and strength, a very present help in trouble"
"Matthew 11:28-" Come unto me, all ye that labour and are heavy laden, and I will give you rest"
Job 1:21-" And said, Naked came I out of my mother's womb, and naked shall I return thither: the LORD gave, and the LORD hath taken away; blessed be the name of the LORD"
Psalm 1"Blessed is the man that walketh not in the counsel of the ungodly, nor standeth in the way of sinners, nor sitteth in the seat of the scornful." Thanks Jennifer for awarding me! Thanks for be such a great friend! Thanks Jennifer! You are so sweet! awww JENNIFER darling i saw this a couple of days ago but have been so busy JUST wanted to thank you for awarding me this prize thank you dear! 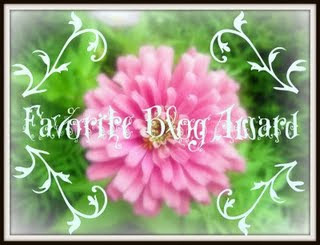 I will post about this soon and give my own awards..wow this will be so hard BECAUSE i have so many blogs i love to frequent LOL :)) hehe!! I hope you are well..you've been missed!